I can be such a scatterbrain sometimes. Example - I had forgotten I had snatched up this gorgeous palette at a work beauty sale just before Christmas. I just found it today while looking for honey mustard sauce in my cupboard. I have no idea when my products started taking up residence in my food cupboards, but yeah, it seem like this is A Thing now. Anyway, it was a nice surprise, seeing that the Giorgio Armani Madreperla Luxury Face and Eye Palette was verrrry exclusive when it was released late last year - only 3000 were produced. 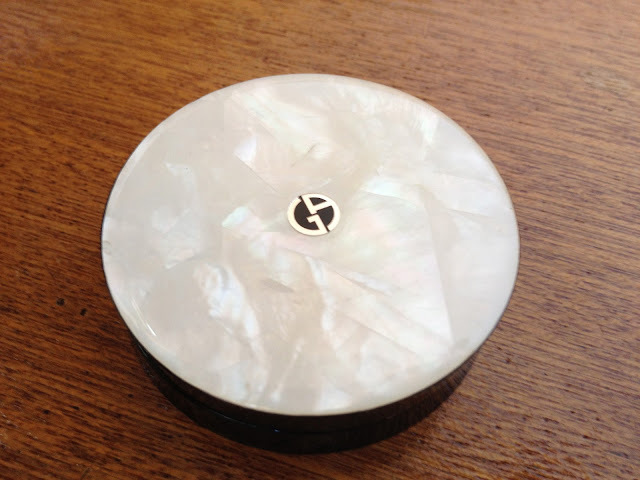 It's also super exxy, mostly I suspect because of the extra slick mother of pearl lid. I've been running my sticky fingers over this baby all morning, it's shiny, it's smooth and it's distractedly light-reflecting. It's so my kinda thing. Inside is a trio of shimmering shades, including a champagne, a white gold and a pale beige. 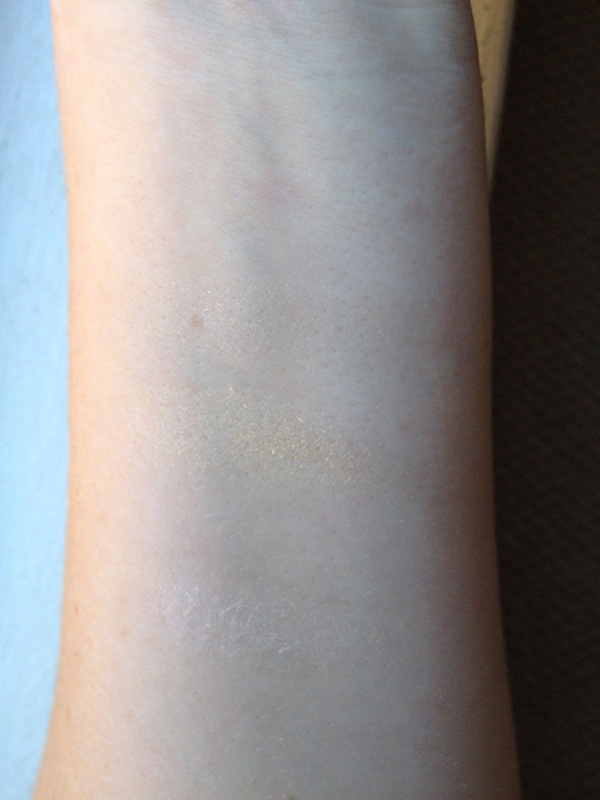 I've tried to capture my swatches of this, but it's not easy as it's such a subtle pigment, and such soft colours. They are not strong colours to wear on the eyes and would maybe only work for me an inner eye corner and brow highlighter. Swirled together, it's a soft gold-hued finishing powder that I'm going to use to set foundation and brighten my face. I love the glow it creates, it's an illuminating effect without without shimmer or glitter, thanks to the super fine powder. It's really a very pretty palette, but tricky to show actually what it can do. I'll make sure to do a face of the day on Instagram using it anyway. Nice as it is, is this palette A$250 worth of nice? 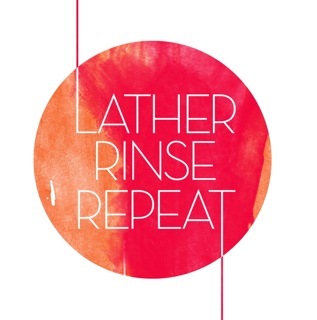 Seeing that I can't drop that much on my favourite of favourite perfumes, I'm going for a resounding 'NOPE!'. But isn't it nice if you can get it for far, far less? The non-luxe version runs for about a third of the price, but is housed in a standard issue black case, rather than the special snowflake mother of pearl. It's going to take all my willpower not to horde this one, so I'm popping it into my 'special events' basket and here's hoping I don't manage to ruin it. I know, right? I'm hoping I can reuse the palette once I hit pan too, it's so purdy. Nice packaging though. haha And I'm sure it'll look lovely on you. It's a crazy-stupid price! 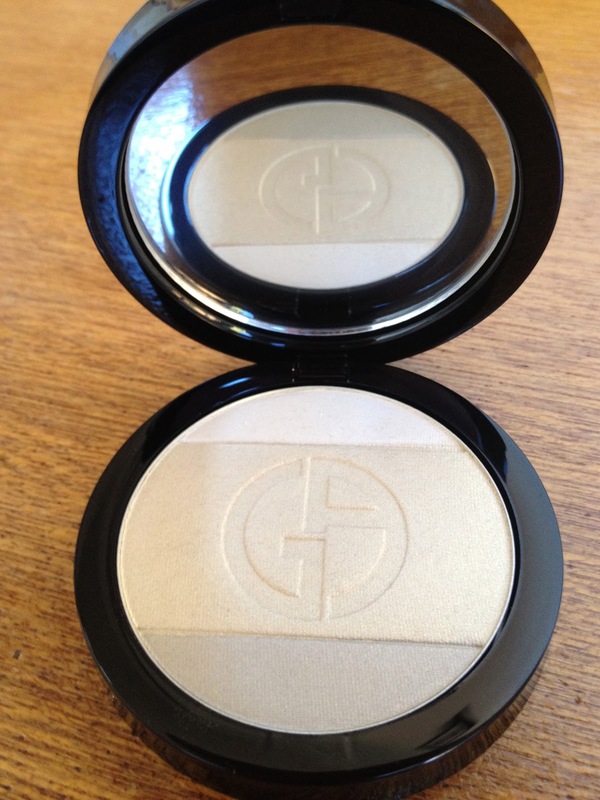 Too sheer for eyeshadow, even for pale old me, but it's gorgeous as an all-over face powder. It's sooo pretty. Anything this gorge owns my soul for life.